Satisfy your inner culture vulture at East Side Gallery and Charlottenburg Palace. 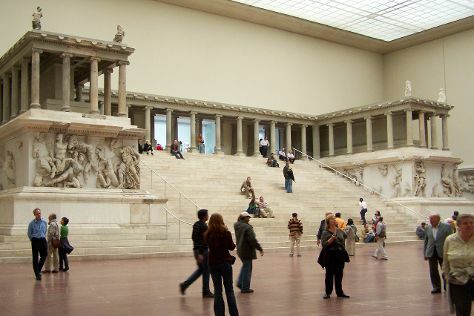 Museum-lovers will appreciate Pergamonmuseum and Topography of Terror. The adventure continues: contemplate the long history of Memorial of the Berlin Wall, pause for some photo ops at The Holocaust Memorial - Memorial to the Murdered Jews of Europe, don't miss a visit to Wasserturm Prenzlauer Berg, and admire the striking features of Berliner Dom. For more things to do, maps, ratings, and tourist information, read our Berlin trip planning website . If you are flying in from Mexico, the closest major airports are Berlin-Tegel Airport and Berlin-Schönefeld Airport. Wrap up your sightseeing on the 6th (Wed) to allow time to travel back home.